Mr. Sims served as Executive Officer, Corporate & External Relations for the Graziadio School of Business and Management at Pepperdine University from 2001 to 2014. During that time he had been responsible for marketing, communications, public relations, Full-time and Fully-employed MBA recruitment, alumni relations, career support services, advancement, the Graziadio School Board of Visitors, Dean’s Executive Leadership Series, the Annual Los Angeles Economic Forecast, Senior Fellows in Entrepreneurship, the 15X Project partnership with UCSB (now Early X Foundation), and aiding in the development of the national Private Capital Markets Project. Prior to Pepperdine, Mr. Sims was a member of the senior management team at Imperial Bank serving as the Senior Vice President in charge of marketing for the bank, an $8 billion asset commercial bank that merged with Comerica in 2000. Previous to Imperial Bank, he was the chief paid executive for two large non-profit organizations: the Hollywood Chamber of Commerce, which included his leadership in the campaign to rebuild the Hollywood Sign, expand the development and promotion of the Hollywood Walk of Fame and the Hollywood Christmas Parade, syndication and telecasts nationally. He was also the chief paid executive for the Beverly Hills Chamber of Commerce, the Beverly Hills Visitors Bureau, the Rodeo Drive Merchants Association and wrote a weekly business column for the Beverly Hills Post newspaper. Mr. Sims has invested in several start-up companies and one software company currently generating about $2 million in annual revenue. 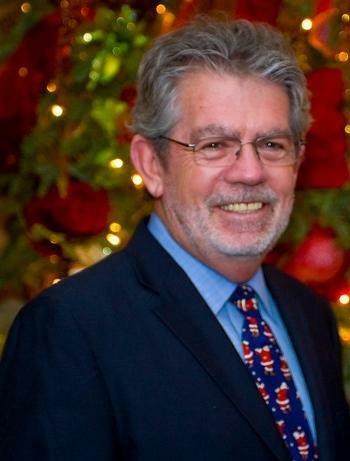 He co-founded and co-owns Siena Publishing Inc., a boutique publishing and sales company since 1992. He serves as Co-founder, Chairman of the Early X Foundation, A Founding Board member of Champion Technology Company, Inc., a board member on the public company Greenwood & Hall, a board member of the Allen Reed company, an industrial and consumer products development company (www.chicwrap.com), former Chairman of the Board of Ramona's Mexican Food Company, and served on the Board of Directors of Pan American Bank, the SoCal Tech Group. He is former Chairman of the National Veterans Association. Mr. Sims is a U.S. Army Security Agency Vietnam Veteran and has a Bachelor of Science Degree in Business Administration and Dean’s Honor role recipient from the University of Nebraska.